Hey good lookin'! What ya got cookin'?! 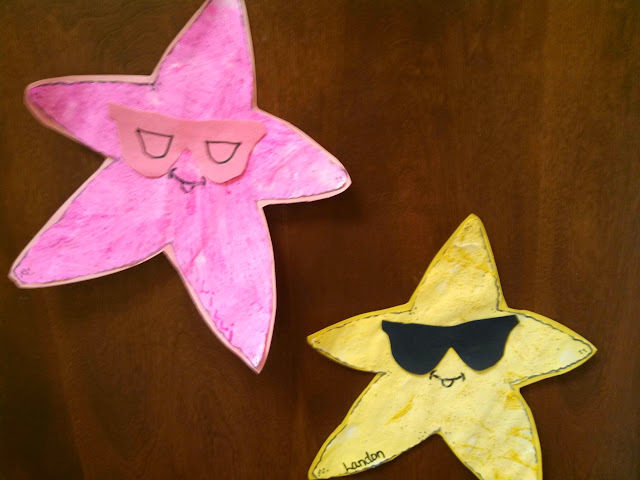 Take a look at these two cuties! This week was all about pretending to be chefs, talking about following recipes, and most importantly baking some wonderful goodies! 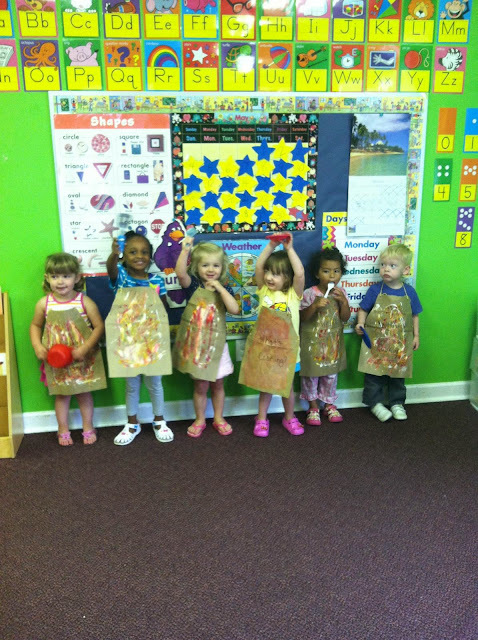 The 2's decorated aprons to look the part! 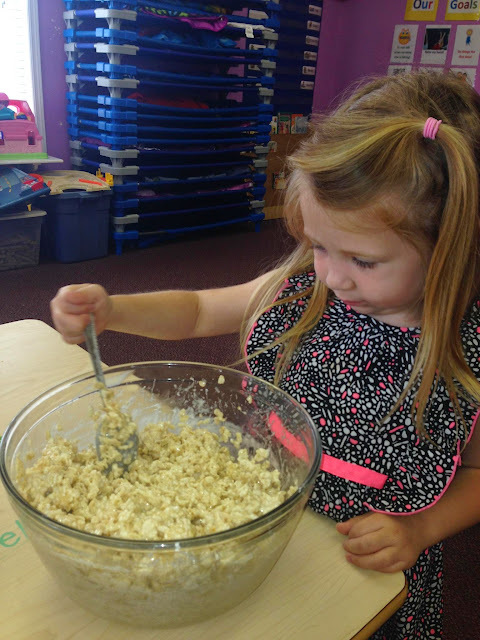 The Pre-K class made one of my personal favorites- Rice Krispie Treats! 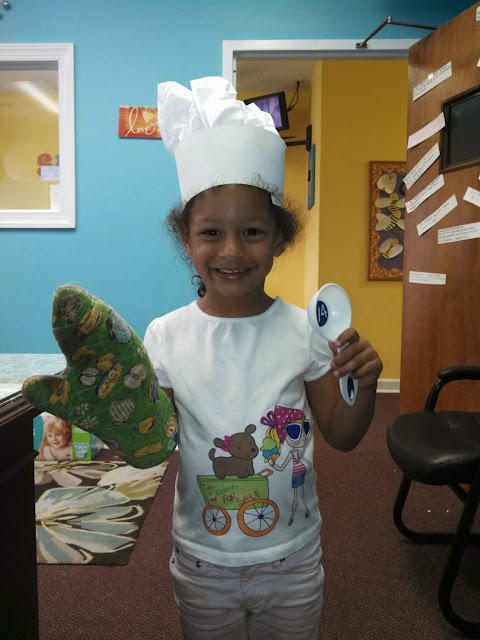 I do believe we have some chefs in the making because they were absolutely delicious! 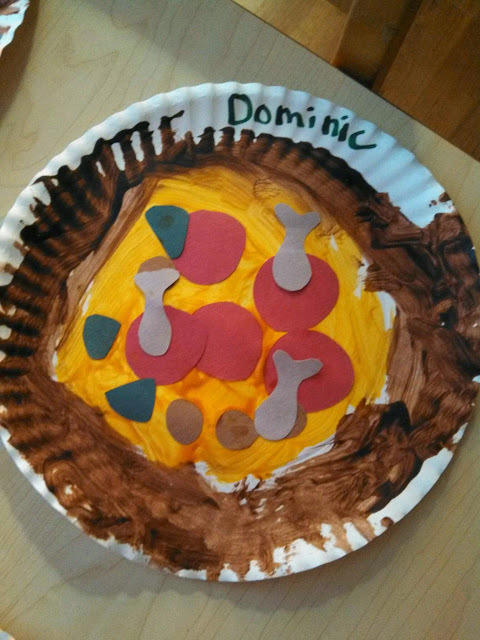 For our weekly cooking project, the children made their own Mini Pizzas. Some classrooms also created some fun art work of a pizza as well! 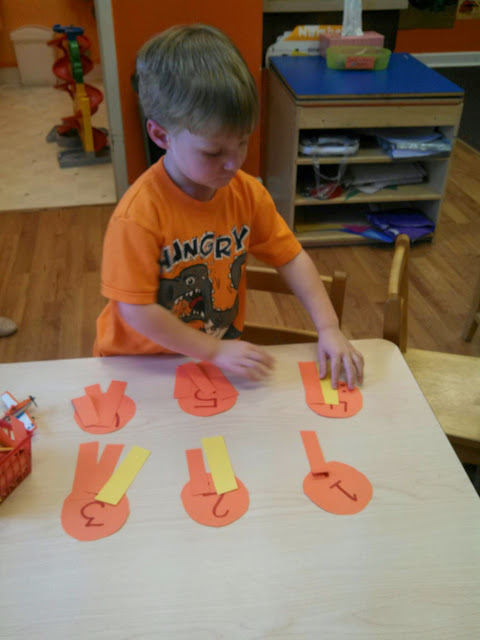 Our letter of the week is "o". 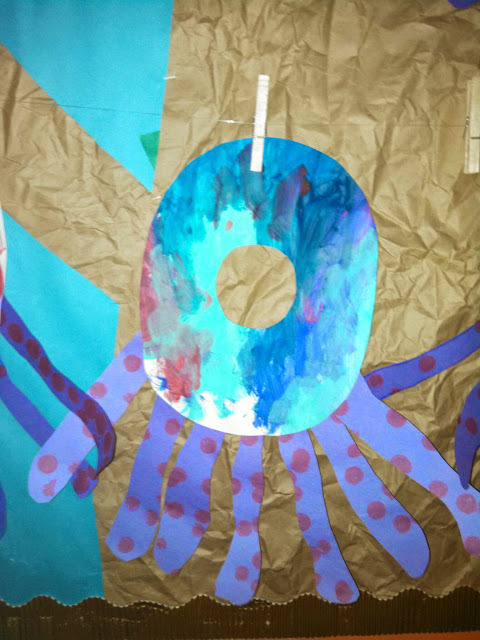 This octopus is adorable and the children had so much fun making it! Such a fun and YUMMY week! Summer is here and we are so excited! 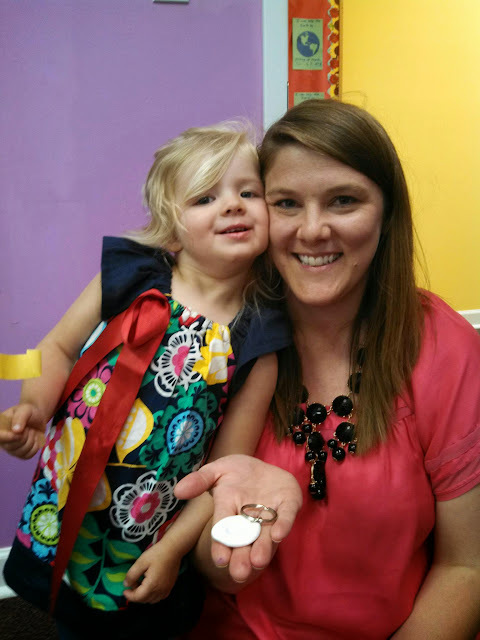 We have a fun summer planned here at Sunflower Station Preschool but first we need to learn all about summer! The children talked about the changes in the weather, the different clothing they should wear, and fun things we get to do during the summer. We get to see a lot of the sun during this time of the year so we spent a good amount of time learning about it. 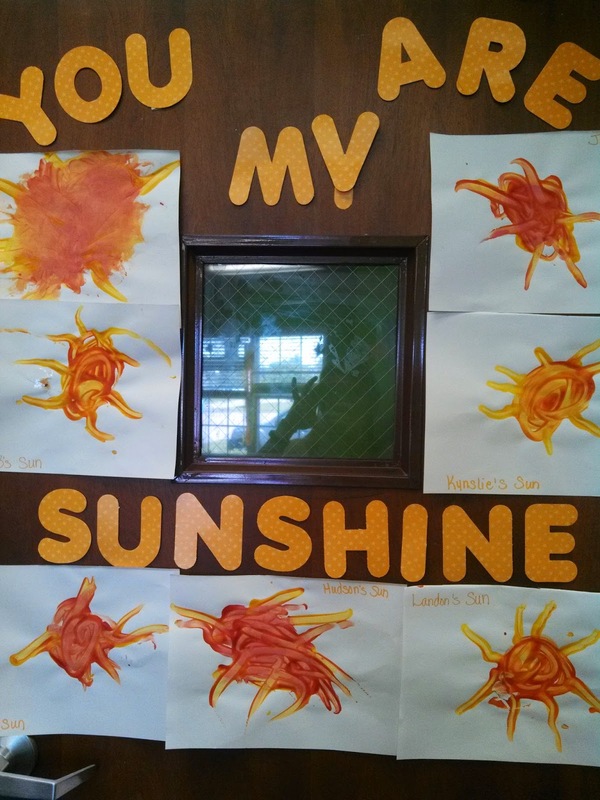 One class did a math activity where they put the number of rays on each sunshine based on the number in the center. 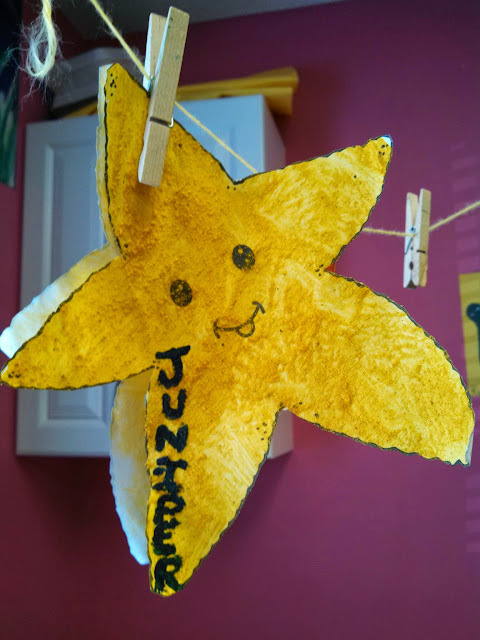 For our cooking project, they children made Sunshine Cookies and decorated them! Along with the nice sunshine comes the HEAT! For Science, the children experimented with ice on the playground to observe how quickly it melts outside. 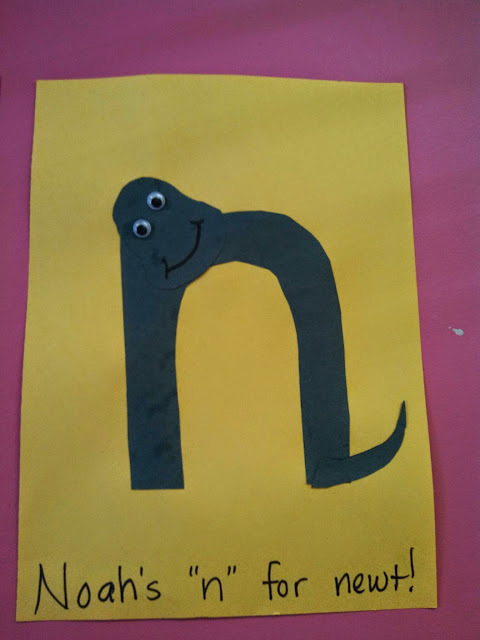 This week, "n is for newt"! 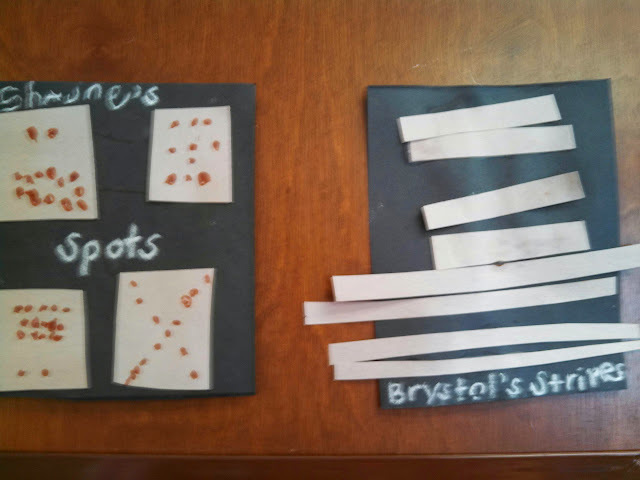 Even our little guys did such a good job with this project! We're looking forward to a SUPER Summer and hope you are too! We're diving in the ocean this week to explore the world under the water! 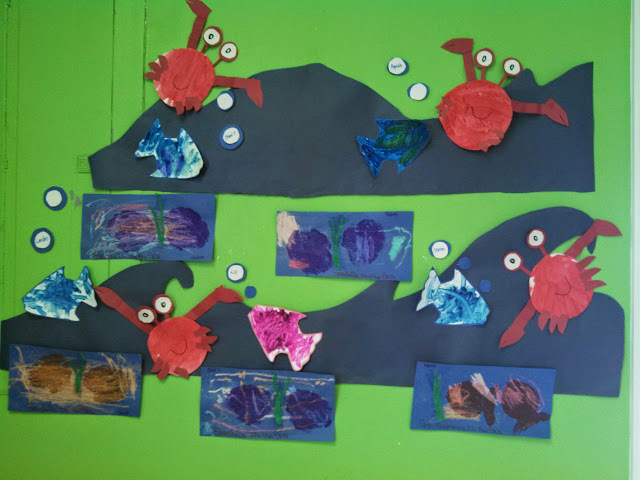 We have so many fun arts and crafts projects this week to learn more about the animals and objects in the sea. 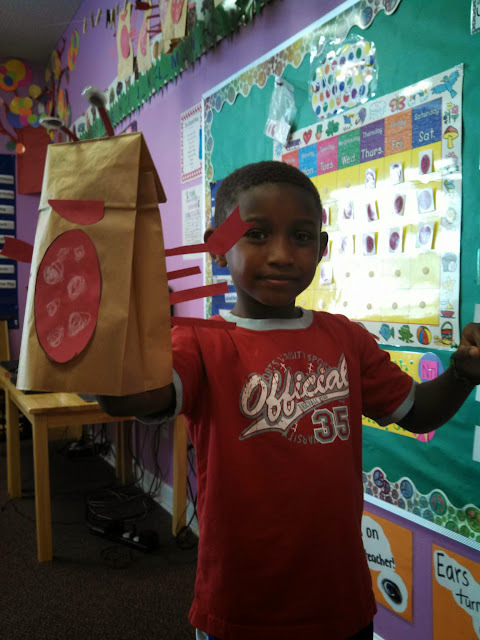 The Pre-K class even made Crab Puppets to play with! They were also so cute and different! 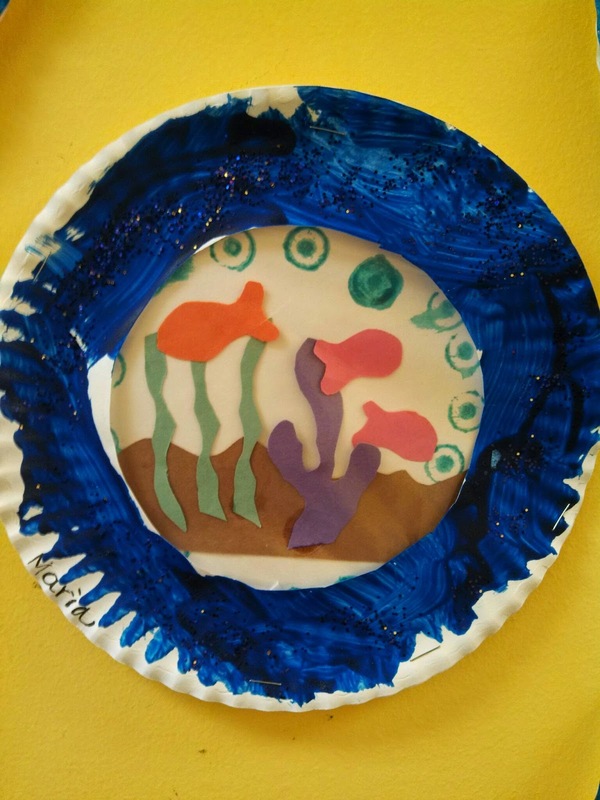 Another class made their own ocean scene in their room with all the neat projects they did throughout the week! 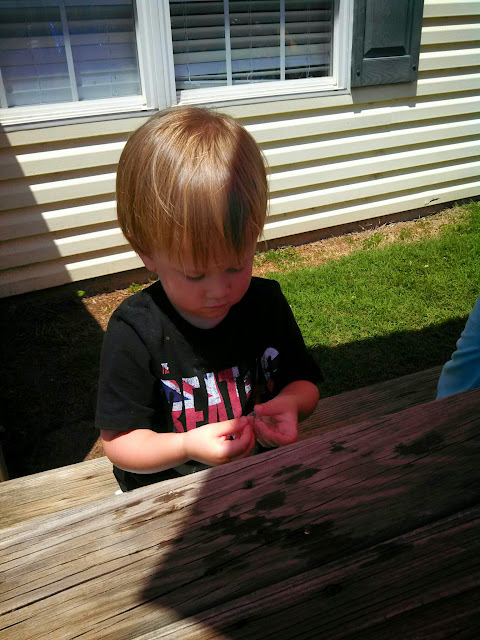 The 3 year olds went fishing for their afternoon snack one day! 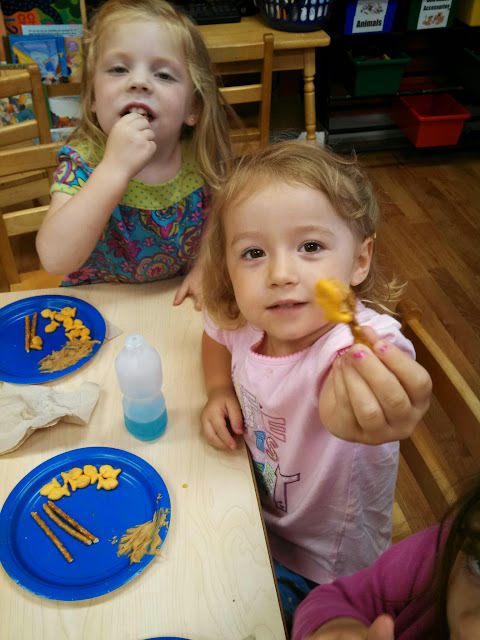 They used a pretzel for their fishing rod, some peanut butter for their bait, and then caught yummy goldfish! 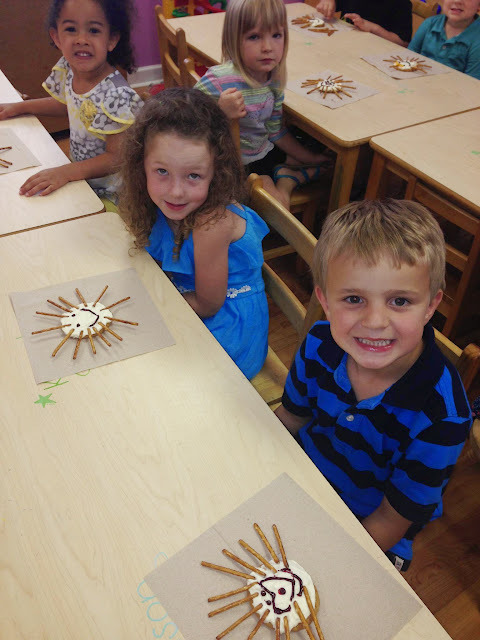 What a fun snack to enjoy that also works on some of our fine motor skills! 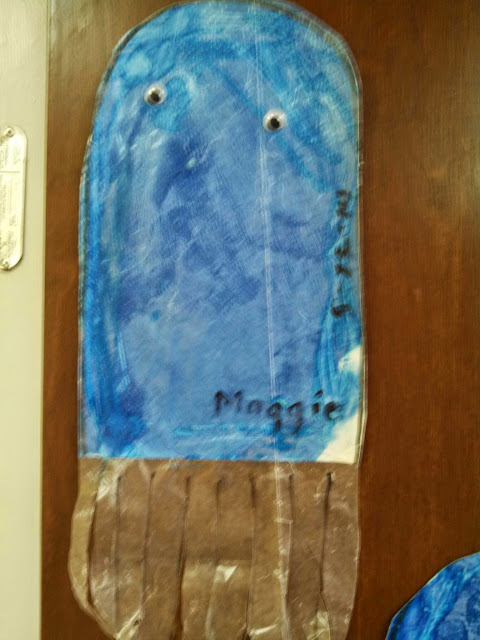 Even with all this fun, we can't forget our letter of the week "m". We had some really cute, silly monkeys throughout the building! 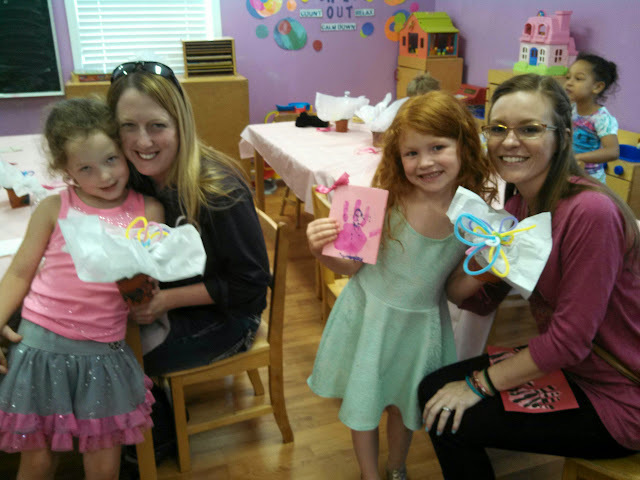 Muffins for Mom is always such a neat time for us to celebrate and honor the special ladies in our lives. 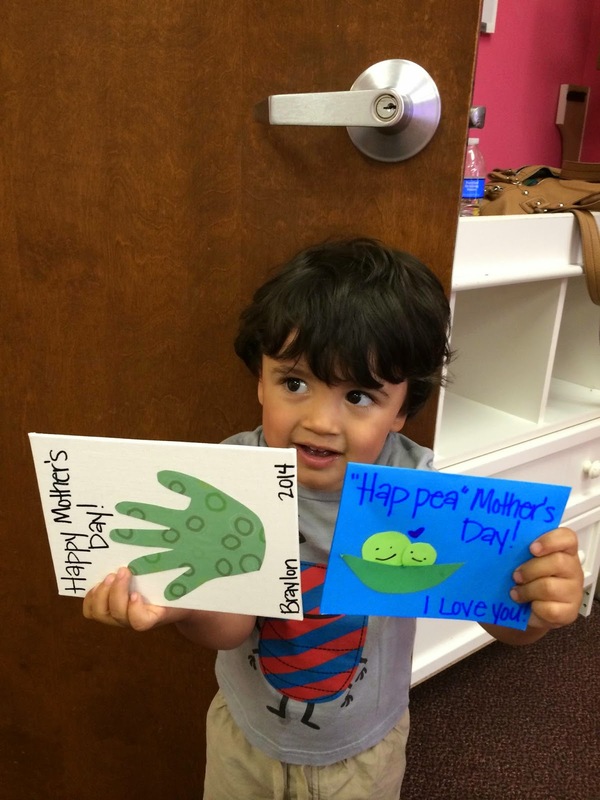 Throughout the week, the children made special gifts for their moms. 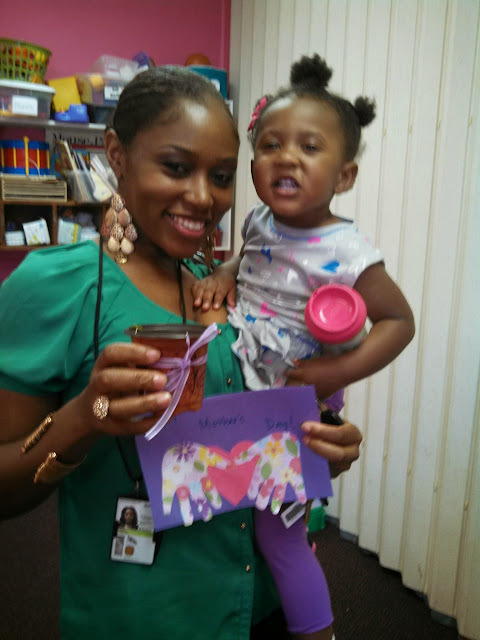 On Friday, we invited them all to join us for a muffin and some special time with their little one. Working on making their Thumbprint Keychains for their moms! We hope you all have a very special Mother's Day! 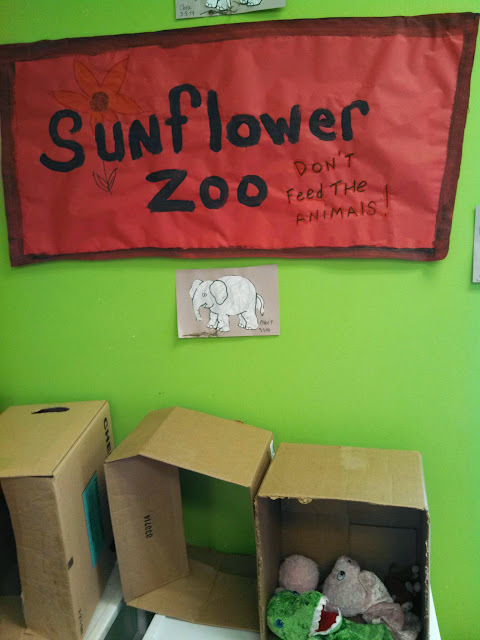 It can often feel like a zoo around here but this week we are actually pretending to head to the zoo! 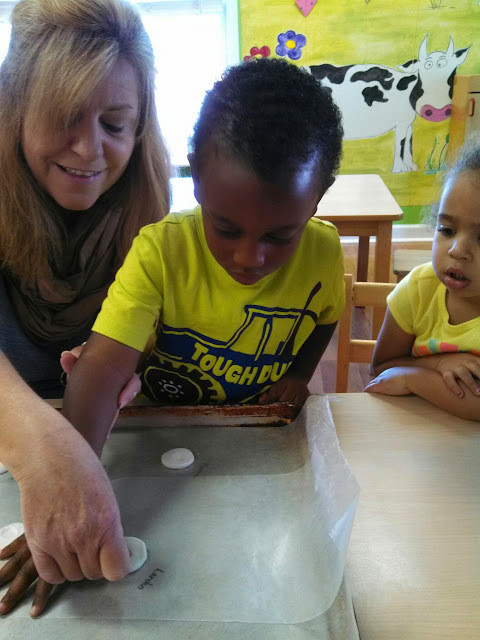 The children LOVE to talk about animals so this week is always a big hit! 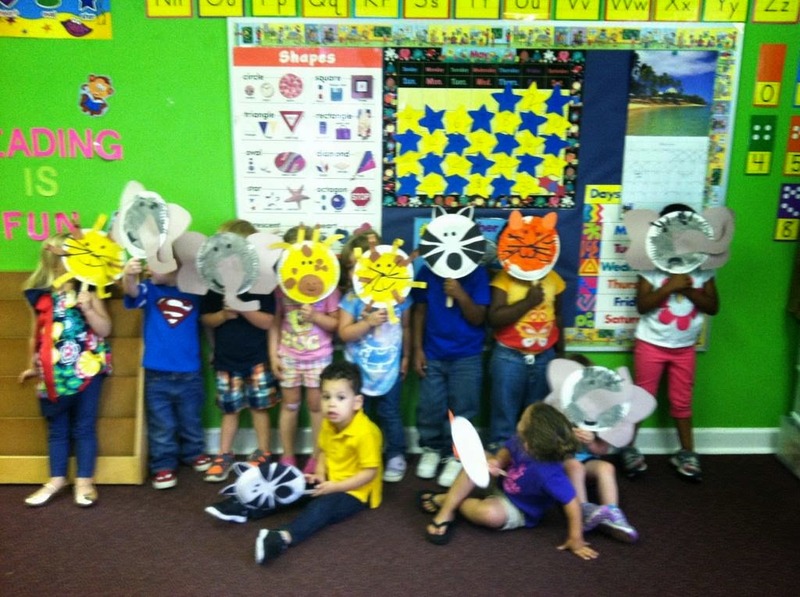 While learning about animals that we might find in the zoo, the children pretended to move like them and even made adorable masks! 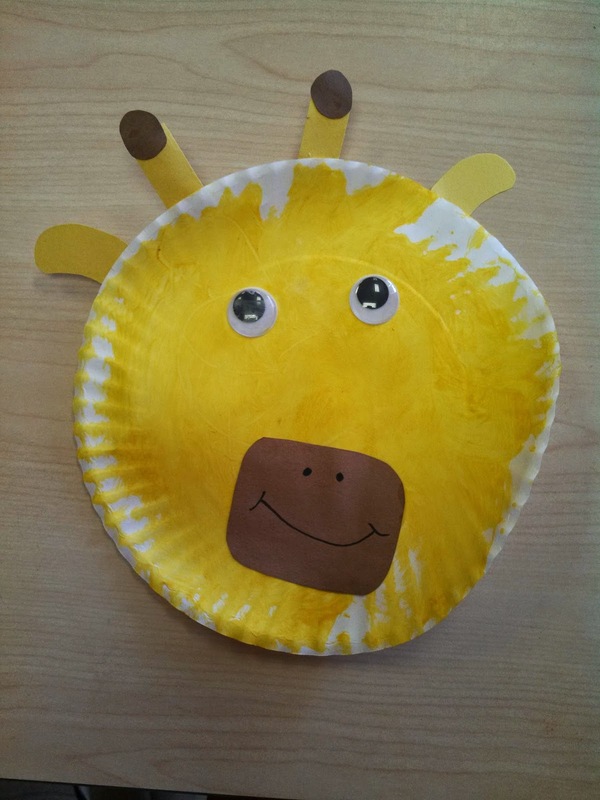 The children also compared different animals that you might find in the zoo and talked about how some have spots while others have stripes! 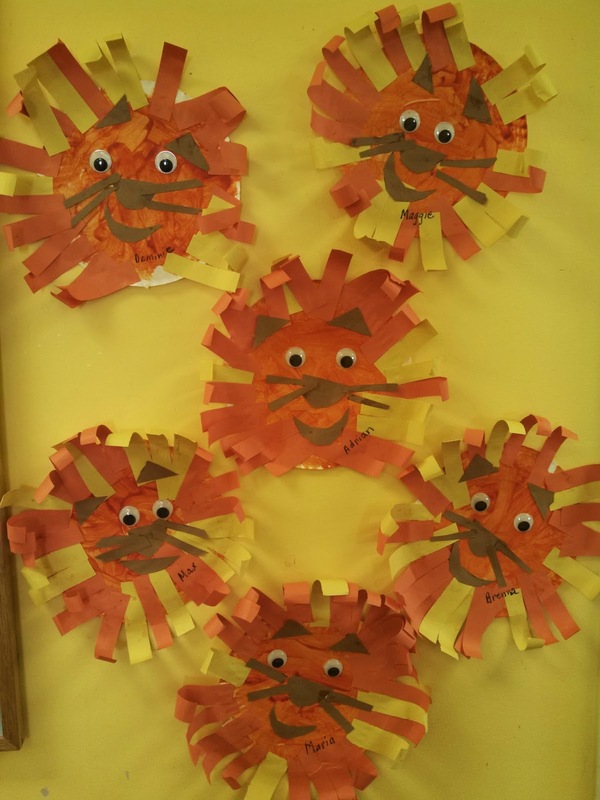 A few classrooms even made their own zoos! 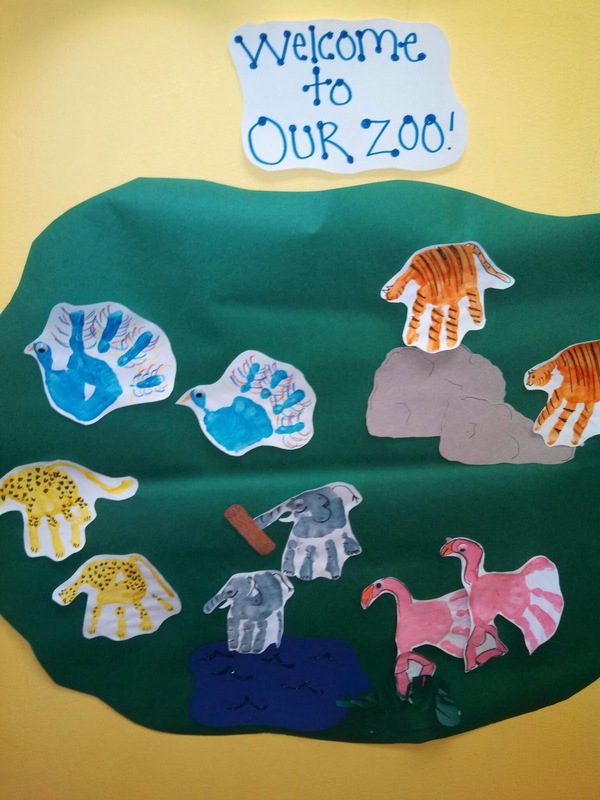 The 2 Year Olds created a Dramatic Play Area that the children could pretend in while the 3 Year Olds made a zoo by turning their hand prints into animals! 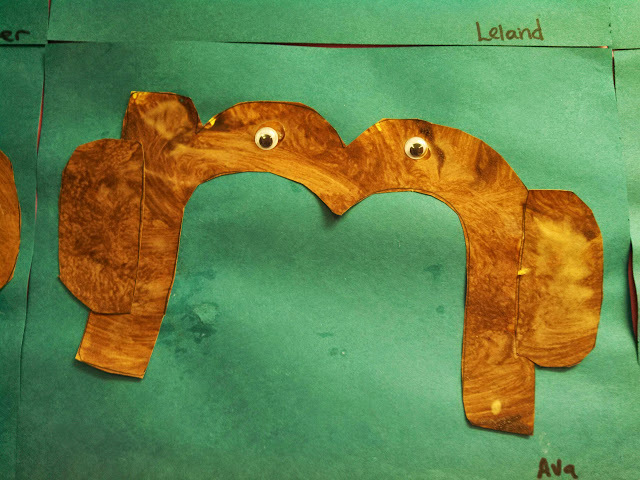 We had a fun filled week and even did a little "monkeying around"! What a fun time we had! 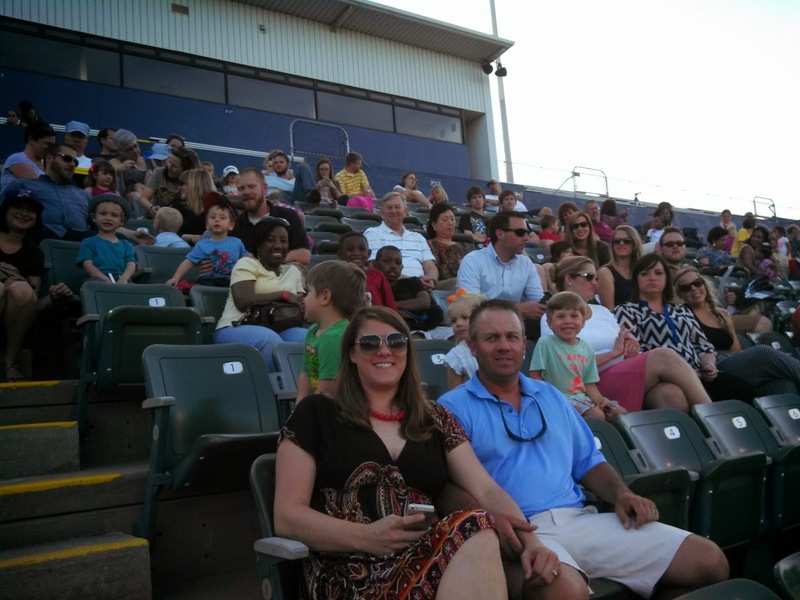 We invited all of our families and their children to join us on our playground for dinner before walking over to Joe Davis Stadium to watch the Stars play! We also got to pick one of our children to throw the first pitch at the game. In our Pre-K class, we had a competition on the playground earlier in the week to see which child could throw the ball the farthest. One of our sweet little girls won and her mom actually told us that they just got a puppy and have been playing ball in the backyard a lot. I guess her practice paid off! 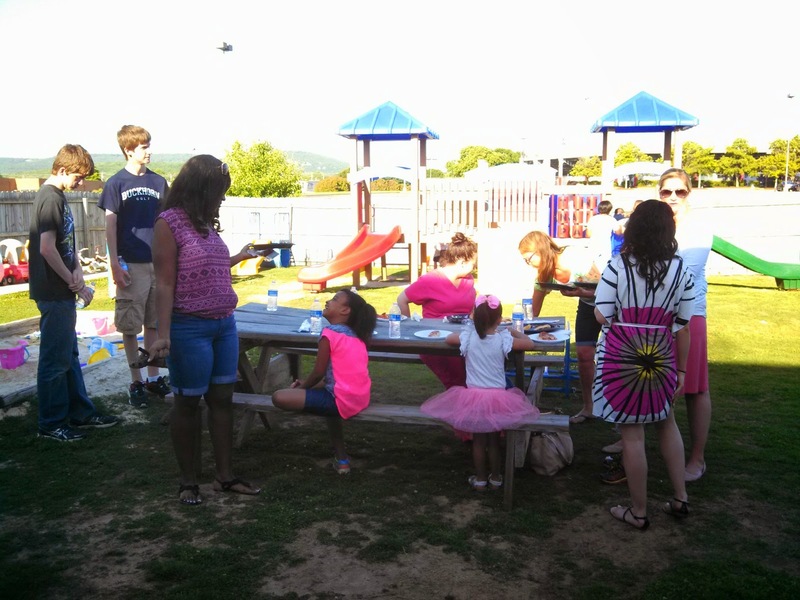 We all enjoyed BBQ and pizza on the playground and then headed to the game! The game was a blast and we WON!!!! 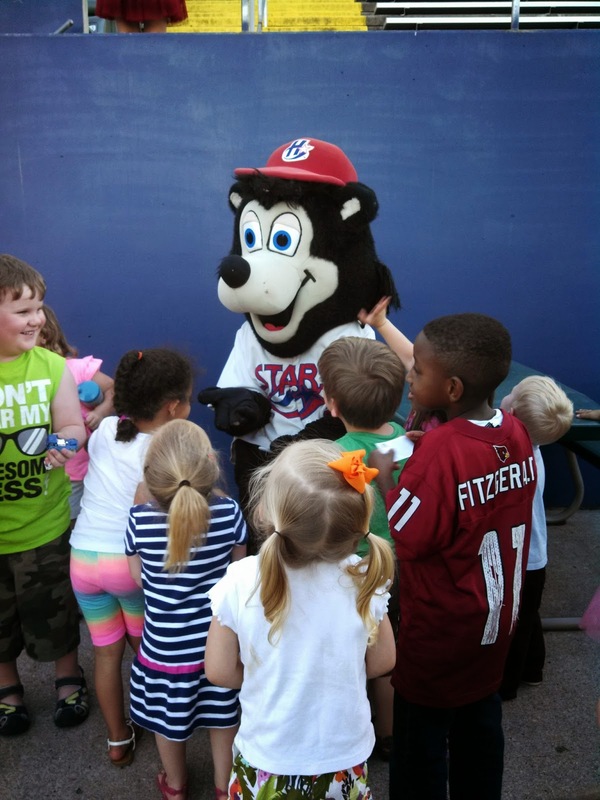 The children LOVED Homer! He ended up staying by our section for most of the game. 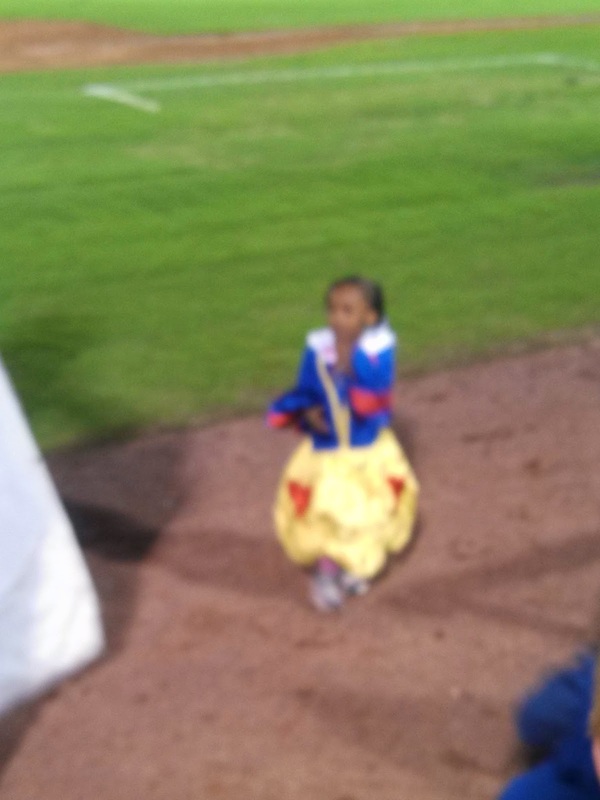 One of our 2 year olds got to play a game on the field in a Princess dress! 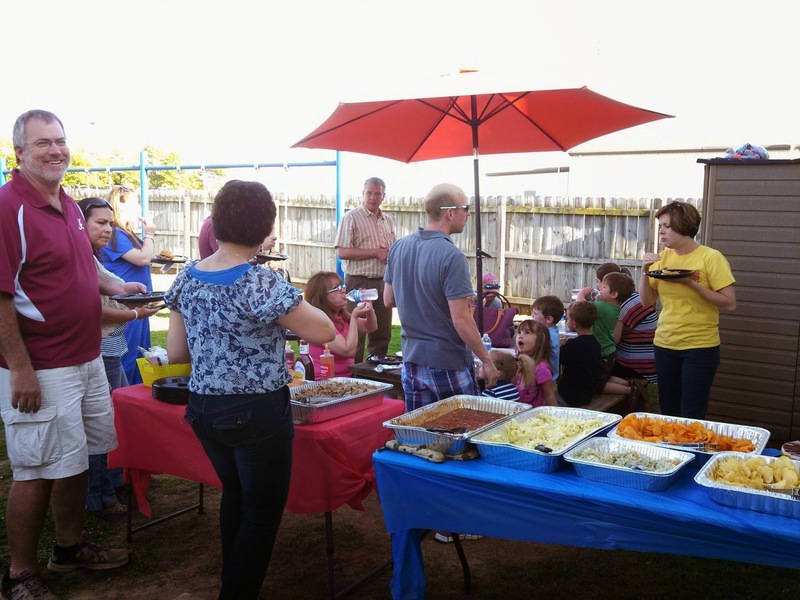 It was so nice to get to spend time with our families outside of the school! We hope they all enjoyed it as much as we did! GO STARS! We're out of this world! 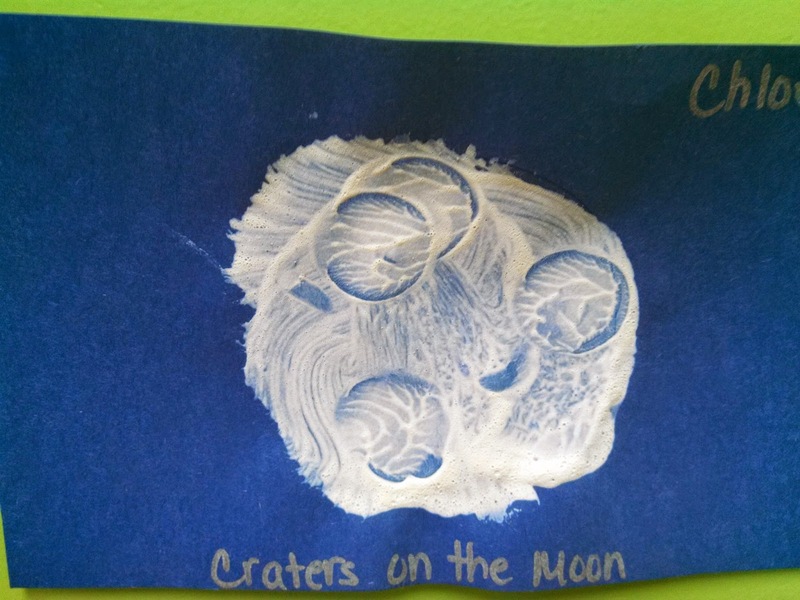 This week we are exploring Space! The children have had so much fun learning about the planets, rockets, the moon and the sun, etc. 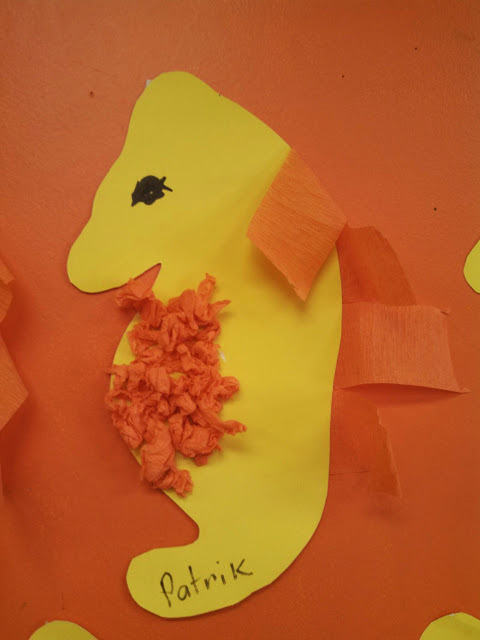 They also did some really neat and fun art activities! 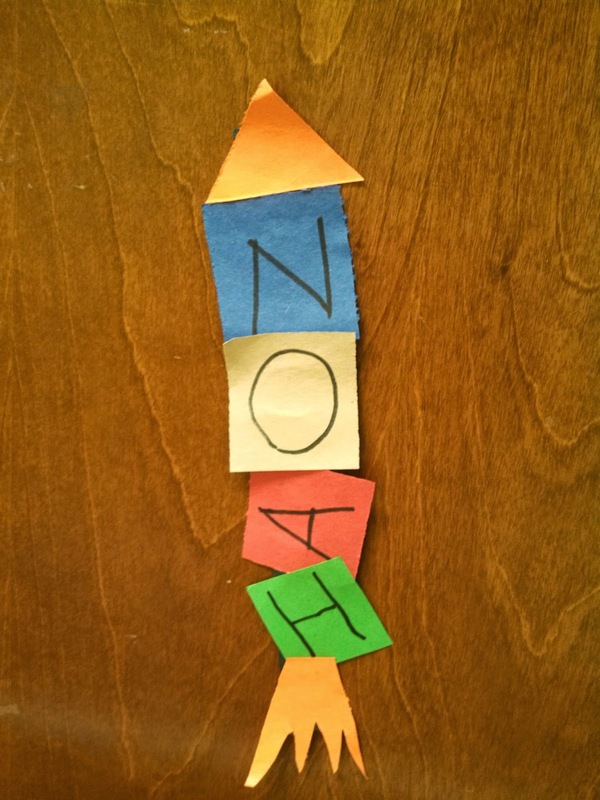 What a great way to work on our names by making little rockets out of the letters in the names! 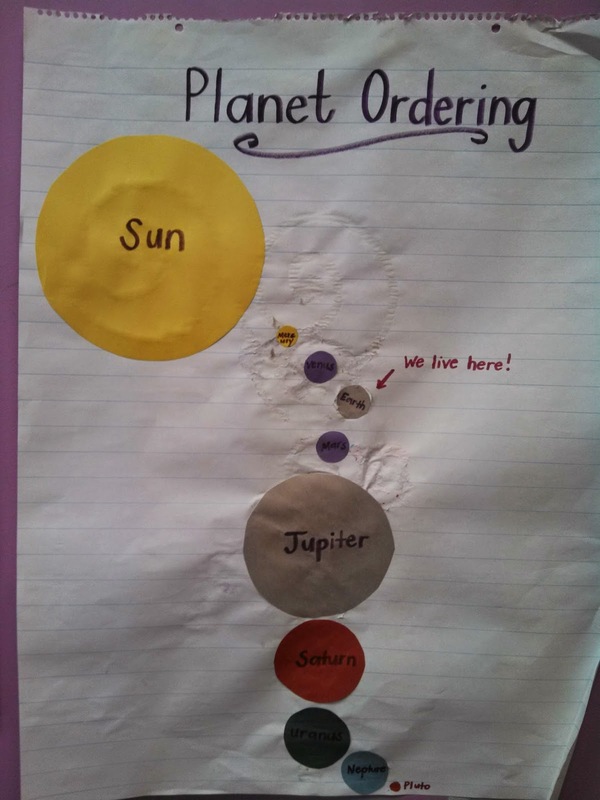 The Pre-K class talked about the order of the planets and made a great chart to help them remember! As you can see, they even figured out that the planets are different sizes. 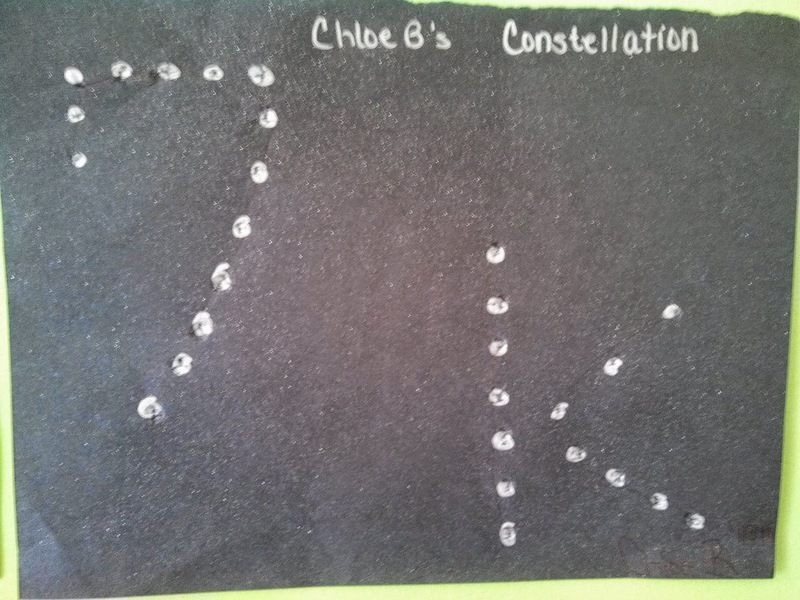 While talking about our number and letter of the week, the 2 year olds made constellations! 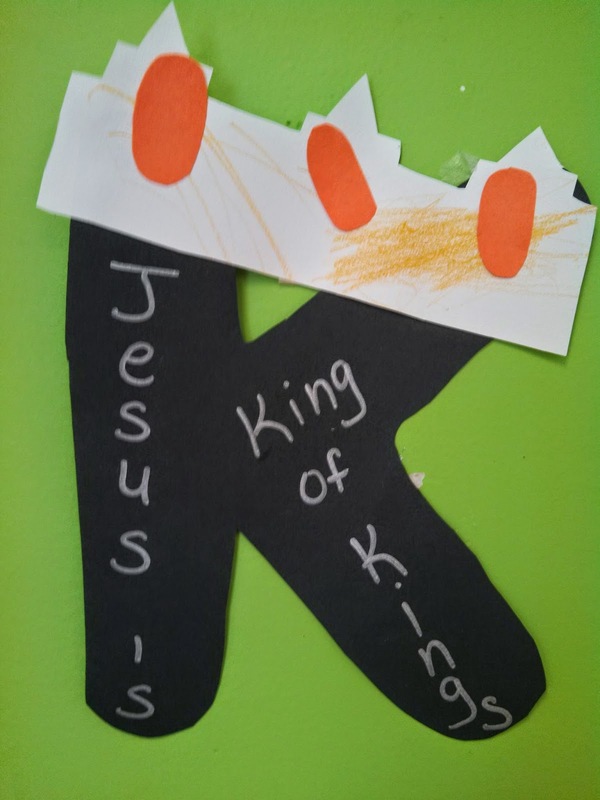 Isn't this so sweet- K is for "King of Kings"! 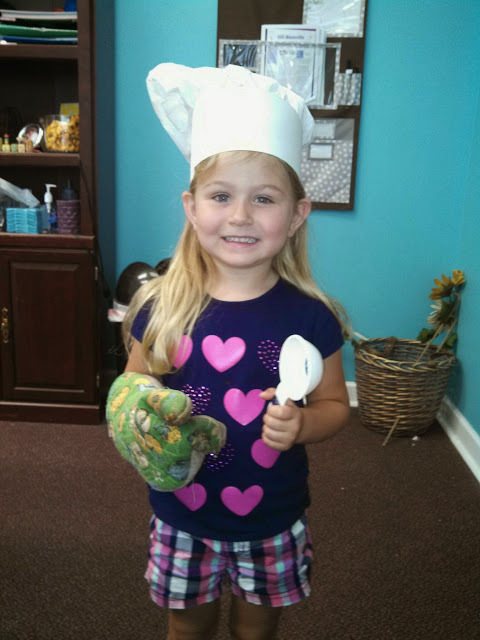 Even our cooking project incorporated Space! 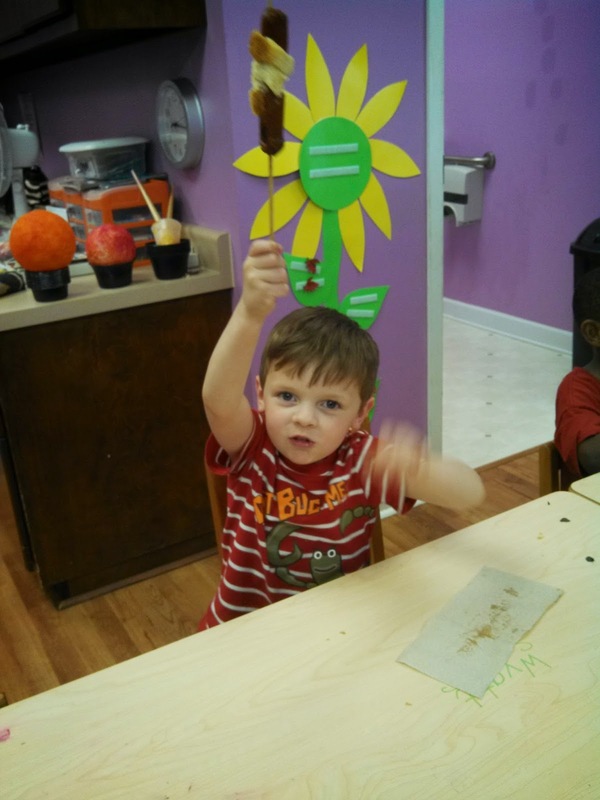 The children made "Rocket Dogs" which were hot dogs on a stick, wrapped in a crescent. 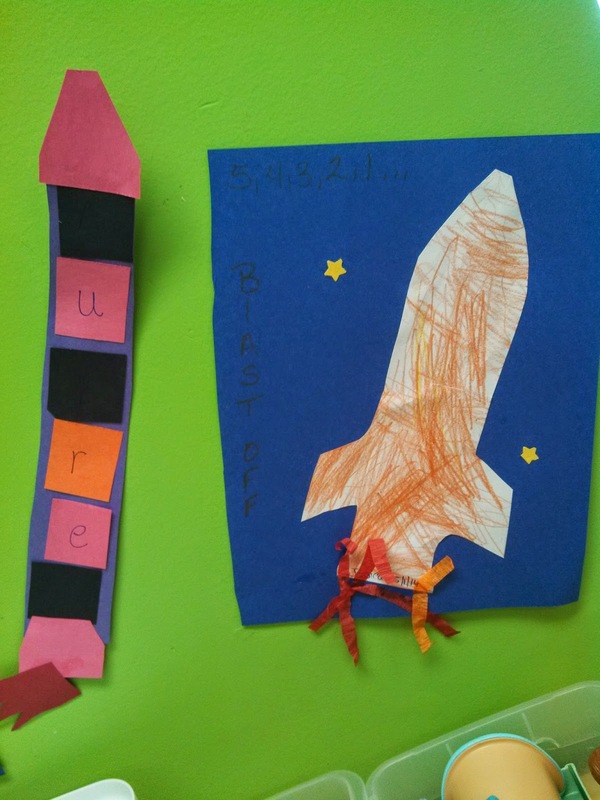 They had so much fun doing a count down and then making their rocket take off! Who says you can't play with your food?! 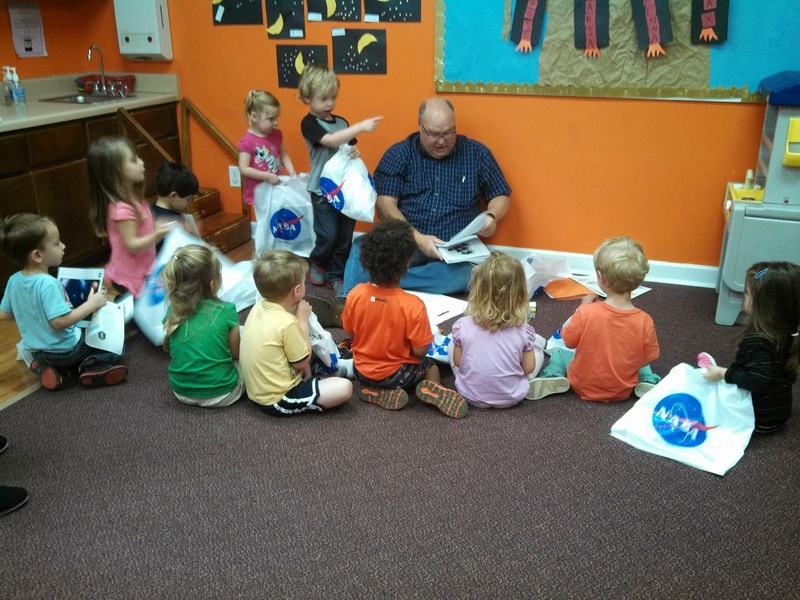 On Friday, the 3 year old class had a very special treat as one of the granddads works at NASA and came to visit with the children. He also brought all kinds of goodies for the children, including coloring books!